As you may have noticed, Nalicity has been experiencing some issues in the past few weeks. This was caused by the crash of the two harddisks in BeyondUnreal's server, causing the entire BU network to go down. The hardware has been replaced, but unfortunately the most recent backup available was over a year old. We litterally took a step back in time. Nalicity, as well as all other sites and the forums, was reverted back to a 2006 state. Anything that was uploaded after some day in 2006 is more or less gone now. This is also the reason why certain pages do not work anymore now, and why UT3 and GOW are suddenly not supported anymore, as we obviously didn't had support for those back in 2006. We will have to implement support for them again. We are looking into possibly regenerating some of it, so don't reupload your "recent old" files just yet. More news later. The crash was highly unfortunate, our apologies for the inconvenience. Since we have entered a new map we also got a new MOTM and hotlist. 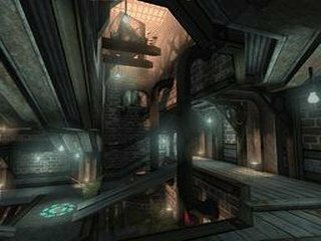 This months featured map is DM Sirea by Cursed Soul. Part 2 of the FragsOfTime Mappack has been released. The mappack offers a collection of brand new UT DM maps. Part 1 of the FragsOfTime mappack can be found here. This new Part 2 can be find on this location. It would appear that the Theme Design Contest , a compilation of maps from various UT1 mappers, has somehow made its way onto Nali City without a news shoutout. The pack is centered around "Theme Design", which you may have already gathered from the title. 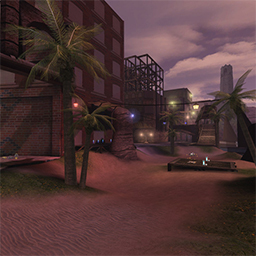 Essentially, this pack started off when a community regular named Nahand thought up an interesting way to attract oldskool mappers to produce a collection of maps. Operating in record time, these guys put together an interesting set of maps. Expect a review soon. Since the month of april arrived we have a new Featured Map here at NC. Scarface's DM Anschar takes the honor this month. The rest of the Hotlist remains unchanged. There were not enough high scored reviews in march. 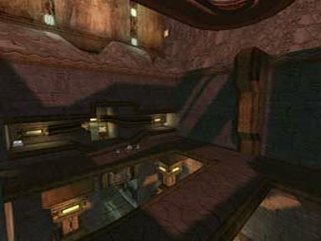 The UP Timewarp crew who previously made the UT1 FlagsOfTime CTF mappack have released a new mappack. Their new FragsOfTime pack focusses on UT1 DM and will be released in two parts. The first part has been released today. First of all my apology for the lack of Hotlists the past few months, we simply did not had enough new reviews until recently. The new Featured map was a tough choice. Although Strogg's UT2004 level DM-Paganda won DM-CTC-Eldora and DM-Ithaqua][ are also of great quality so be sure to check those out as well. The rest of the Hotlist which is made up entirely out of UT1 levels this month includes the CTC-UT-Mappack-Vol3, DM-Sacara, DM-Folos, DM-1on1-EternalSands and CTF-Vengeance. In the face of the recent dearth of reviews (for which I admit I am partially responsible) a light has shone down upon the review queue once again! Gnome and Sapper are back on the UT99 review case. So hurry up and get those UT99 review requests in! Sapper isn't such a patient man, and Gnome is just, well, Gnome. Welcome back Gnome and Sapper! Fancy earning yourself some respect in the ut community? Ever wanted to enter a mapping competition but always get stumped when it comes to the layout? Well here's your chance to blow the cobwebs off your unrealed.exe - the UT theme design contest. You'll have till the end of february (as it currently stands) to create the best map using the base layout provided. Since all the entries will have the same basic layout, you'll be able to focus entirely on creating an original and well executed theme. Head over to this forum thread for all the rules. Hope to see you there! The FragBU pack has been released. 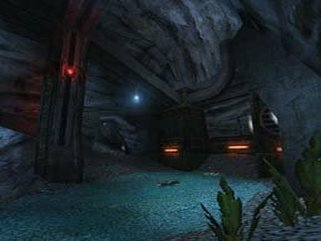 It is a UT2004 pack containing nine levels and two mutators made by Gred Mega, King Mango, Lynx, Radeon285, Raffi_B, Reeps and SlayerDragon. There is also a parser which replaces invasion monsters with deviate minded Nali cows. With the new year brings spring semester for this student of Unreal. In addition to the mundane scholastic pursuits, comes the mullings over Uscript and the musings of how many polys would it take to model the latest daydream. Above all, there's a rustling wind that calls out E3 and the release of UT2007... well "Gears of War". Yea, it's going to be a great 2006! 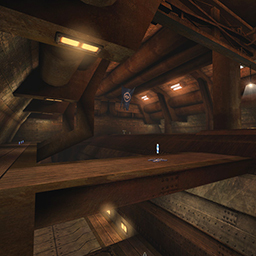 Computer upgrades, learing normal mapping, and all but kissing BSP goodbye are sure to be in the works for many people that frequent this site. As to what I've been doing for the last 6 months? working, learning and having fun. Like UT before it, there's still much to be wrung from UT2004, we'll be here to share it with our loyal fans. So download those maps, post your comments, and if you're one of the brave, upload a little something for everyone here at NaliCity. Merry Christmas! And Happy Holidays to the rest of you. Ah, and while I'm at it, Happy New Year too! File downloads should be working now for eDome and Gameservers.net. If you have any issues with downloading a particular file, post in reply to this thread and I will check on the status of the file. A w00t mappack has been released by Sabbath Cat with some extra mapping help from Mickey Blue and Horton's Who. 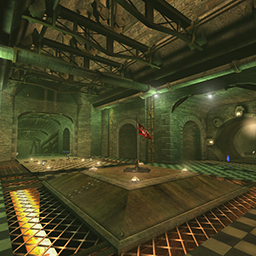 The pack features 16 UT1 CTF maps roughly based on the w00t map. Small and larger maps.